SF Taxi Media: Summary of Proposals For The Permanent Medallion Sales Program. By John Han. Summary of Proposals For The Permanent Medallion Sales Program. By John Han. 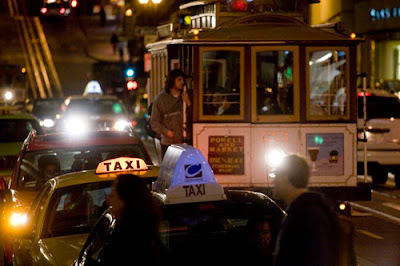 On January 30, 2012, the Taxi Advisory Council (TAC) is expected to approve final recommendations for a more permanent method of taxi medallion sales in San Francisco. In light of the test program known as the “Medallion Sales Pilot Program” being at an end, the San Francisco Municipal Transportation Agency (SFMTA), in October of 2011, issued a public notice inviting members of the public to submit recommendations to the TAC, regarding a future, more permanent approach towards medallion sales. The San Francisco Cab Drivers' Association (SFCDA), Luxor Cab, Richard Moles, Mark Gruberg, Ruach Graffis, Carl Macmurdo, and Ed Healy. In anticipation of the daunting task of having to compare key recommendations in the proposals, there needs to be an attempt to highlight the key recommendations, note the common recommendations, and make an attempt to resolve whatever differences, if possible. This blog post is an attempt at doing these three things. And it is written with the goal to represent the diverse views with accuracy and fairness. However, I reserve the right to insert my own views on the recommendations as well... views that any reader can agree with, disagree with, or ignore, as the main goal is to summarize the recommendations. The proposals are chronologically listed here in no particular order of preference. Proposals that were able to be obtained in electronic format at the time of this writing are published online and are linked to in this summary. To finish Moles' statement, it means that after the purchased medallion were resold, the driver could then receive an earned medallion. Although opinions can change, at the time of writing this, I can't think of a good reason to not support this recommendation. Richard Moles says he has driven cab for 27 years and has been on the waiting list for 14 years. Moles' second proposal is a version of the “Scaled Pricing Method”, which is intended to assist drivers at the top of the waiting list in purchasing medallions. Drivers at the top of the list have been there the longest, and having to purchase a medallion now for $250,000 after all these years may not be realistic. Scaled pricing is a general concept common to Carl Macmurdo's proposal, though with varying details, and as a general concept, has been publicly supported in the past by De Soto Cab's president Hansu Kim. Note that Moles' recommendation also includes lowering MTA transfer fees. “Hold a Public Convenience and Necessity type of hearing to ascertain whether it is appropriate to add 200 new full-time medallions during the next two years. If so, issue 200 new taxi medallions during the next two years, the first 100 (technically Prop. K medallions) to be issued without purchase to waiting list applicants. The 101st medallion (technically a Prop. A medallion) is discounted, so that only $50,000 is collected from the purchaser, the 102nd permit selling for $52,000 , and so on with the 200th medallion selling for $248,000. All subsequent medallions will sell for $250,000 , or whatever full, set price is in effect. At this point the waiting list for non-purchased medallions will have morphed via a graduated discount feature into a preference list for purchasing a medallion for the full, set price in effect. One should note the obvious, as Macmurdo does in his proposal, that implementing the 'scaled pricing method' to the top of the waiting list requires the issuing of new medallions. Macmurdo suggests 200 over two years, by issuing 100 per year, if a PCN type hearing would ascertain it. As it will become more evident in other proposals, this is one of the first and most obvious bones of contention amongst persons in the City's taxi industry. And that is – to what degree should the City regard the taxi industry as its “cash cow”, and use taxi revenue to fill budget voids in other agencies, such as MUNI? And, how much of the taxi revenue should the City re-invest back into the industry itself vs. allocating taxi revenue to other purposes, such as solving non-taxi budget deficits? This issue will be highlighted again in another area of the summary. Carl Macmurdo is president of the Medallion Holders' Association. His proposal may be viewed online. Luxor's proposal is by far the shortest amongst the proposals. It's so short, in fact, that it can be reviewed here on this page line for line. Here it is, with a few comments inserted in italics. 'The medallion sales pilot program has been an unqualified success. There have been no adverse consequences to the public. It has benefited the MTA, which is a benefit to the people of San Francisco. The pilot program has benefited permit sellers and permit purchasers alike. Proceed with sales by allowing all medallion holders to sell. Continue to offer purchase opportunities to drivers on the waiting list, then open it up to all drivers with a minimum of five years experience. (At the TAC meeting, Charles Rathbone, in my opinion, didn't necessarily define what, “non-medallion permits to full service color schemes” means, but kept it as a broad definition. He did however say that the meaning of “full service color schemes” includes companies that accept credit cards, have on-site gas filling pumps, and have on-site maintenance and repair garage, and that companies with these attributes are better than other, smaller companies that don't. This is the end of the first part of the summary. Still to come are summaries of proposals by – Ed Healy, Mark Gruberg, SFCDA, and Ruach Graffis. After that, a comparative approach, with an attempt to identify similarities and differences. And, reconcile differences if possible. These proposals are very interesting. I wonder if any change in the rules would be made retroactive to the 150 people or so who have already bought their medallion at full price. Or will they just be out of luck? That would be a bitter pill to swallow after playing by rules they may have assumed would not change. And if a new A-Card seniority system were established once the waiting list is exhausted, could a person sell the medallion they purchased and get an earned medallion without charge once they qualified by years driving? Just like any investment if the drivers who already purchased have to take a loss, then so be it. The study that was completed by the SFMTA clearly indicated that the 250,000 for a sale of a medallion is appropriate. I am sure there were variables left out of the equation, however the cab driver who invested in such a ridiculous price to begin with should have done their homework. I do not mean to be cold about the situation, but that is how an investment works, there are risks. Unfortunately the cab industry is not handling the demand of the customers and additional cabs are needed on the streets. Many suggested this being an issue to begin with, but never heard anyone cab driver at the meeting factoring this into the equation on pricing. Opinions are to be discussed at a rescheduled date of January 30, at 1pm in room 8244. Then a vote for final recommendations is expected, but could possibly be held off for one more meeting. I will be at that meeting. Its hard to believe that someone is going to fork over so much money for a medallion in a business that is so unstable at the moment, its basically made up as we go along so I would say it would be wise not to purchase a medallion unless you want to put yourself in an early grave.It seems such a commitment to a life of misery to me.